Wynn Larimer would be the first to admit she has a bad memory and that lately it’s been getting worse. But that doesn’t explain how she has ended up in jail, accused of kidnapping two teenage foster kids. Now she’s in the fight of her life to clear her name. Her burning question: who has framed her and why? Wynn’s partner, Barker, is hanging by an emotional thread. Not only are the missing girls her social work clients, but to make matters worse, her beloved Wynn seems to be losing her mind. How can she ensure the girls are brought to safety while dealing with a partner who is increasingly scattered? Wynn and Barker must race to uncover the truth before Wynn is charged with a serious crime that could imprison her for years. But what will happen to their relationship when both discover things about each other that will change their lives forever? 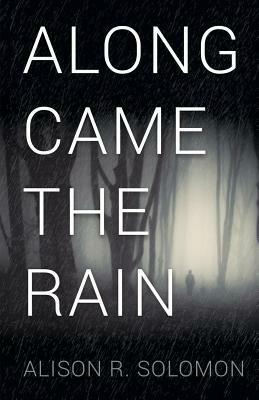 There’s twists and turns a plenty in this page turning psychological thriller from Alison R. Solomon. It is the author’s debut novel and she has done an excellent job in creating a suspenseful read which kept me on my toes and guessing until the end. Wynn is shocked when she is accused of kidnapping two teenage foster children. There is no question of her innocence in her own mind. However, when the police produce a series of evidence which points to her guilt, she begins to feel a net closing in on her, a net of someone else’s making. Can she prove to them and to her partner Barker that she had nothing to do with the crime? With issues round her memory loss that appear to be worsening she battles against the odds to gather evidence that the police may have overlooked as the fate of the girls hangs in the balance. Meanwhile her partner Barker, a social worker to the two girls, struggles to prove Wynn’s innocence whilst maintaining her own and Wynn’s sanity. Barker and Wynn are a loving couple: Barker a social worker, well thought of by her colleagues and clients, and Wynn the homemaker trying to get her jewellery making business off the ground. They have a good life together but will their relationship survive? Has Wynn been framed and if so why? In the course of their efforts to uncover the truth revelations about their respective pasts come to life and they will have to live with the consequences, that is if they can prove Wynn’s innocence and keep her out of jail. I was gripped as Wynn struggles to clear her name whilst grappling with her own issues around memory loss. The author tackles this issue in a knowledgeable and sensitive way as she does with other issues explored in the read: dementia, memory loss, mental health, abuse and aging. The trials and tribulations of the foster system are also explored in the book and again this is done in a knowledgeable and insightful fashion. The novel is cleverly written, with different POV and timelines and I was totally gobsmacked at how the plot unravelled. Recommended for lovers of a suspenseful read. Please note a copy of this nook was given to me by the author for the purpose of a fair and honest review.